TOUCH: Four touchdowns was the biggest winning margin in any of the Division 1 finals at the annual Red Rooster Junior Carnival at the weekend. 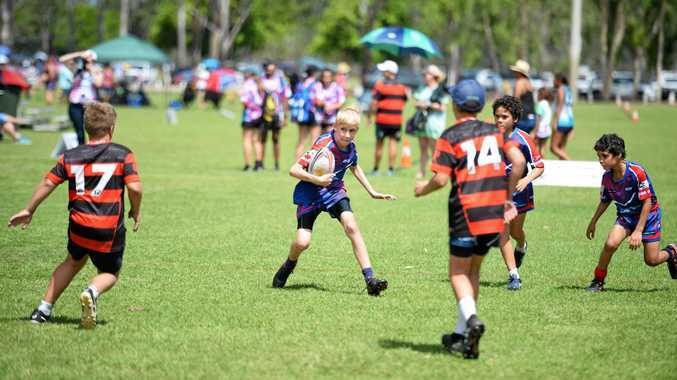 A total of 122 boys and girls teams played more than 300 games in divisions from under-10 to under-17 at the two-day event at Rockhampton's Cyril Connell Touch Fields. Rockhampton Junior Touch president Mick Callow said it ran like clockwork, and the feedback from all involved was again very positive. The event has been running for about 20 years and is recognised as one of the biggest of its kind in regional Australia. Callow said while the focus was very much on participation, there was still some quality touch played over the two days. "The standard of games was incredible and the future of the sport is certainly in good hands when you look at the calibre of the juniors involved,” he said. "I think the reason the carnival continues to be so popular is because it's primarily about getting out there with your friends and enjoying a game of touch. "While some of the games are very competitive, everyone realises it's about participation and they really embrace the spirit of the carnival. Callow said the under-10 boys Division 1 final between Bulldogs and Rebels Black was a cracker, as was the under-14 girls decider between Rebels and Super Girls. "It's great to see all the kids out there enjoying the game and it's wonderful to see the look of excitement on their faces at the presentations,” he said. Under-10 girls - Division 1: Magpies Harlequins 2 d Mackay Thunder 0 (Player of Final Eloise Finter). Division 2: Rouch Diamonds 3 d The Jellies 1. Division 3: Candy Crushers 4 d Rebels 0. Division 4: Rgs Flames 3 d Magpies CM 1. Division 5: RGGS Polywongas 2 d CC Purple Cheetahs. Division 6: Magpies KW 5 d Magpies HB 0. Division 7: The Beans 7 d St Paul's Stars 2. Division 8: Little Rippers 4 d St Peter's Meteors 2. Under-10 boys - Division 1: Bulldogs 3 d Rebels Black 1 (Player of Final Vesi Luva). Division 2: Rebels White 7 d Cubbies 2. Division 3: Oaks Construction 5 d All Nighters 3. Division 4: Devils 5 d Calliope Young Guns 4. Division 5: St Peter's Asteroids 5 d Busteed Boys 1. Division 6: Rebels Purple 3 d Mackay Thunder 1. Division 7: Ninjas 6 d Magpies Swoopers 5. Division 8: Super Heroes 6 d RGS Goats 1. Division 9: Magpies SW 3 d Fortniters 2. Division 10: Dynamites 4 d St Peter's Comets 1. Division 11: Shack Attack 5 d Mackay Lightning 3. Division 12: St Peter's Flames 6 d Magpies WB 5. Under-12 girls - Division 1: Mackay Thunder 2 d Rebels 1, Division 2: Magpies CH 2 d Crushers 1, Division 3: Skittles 1 2 d CC Flames 0, Division 4: Skittles 2 5 d Ballers 0, Division 5: St Peter's Diamonds 2 d St Paul's Lightning 1, Division 6: Magpies JB 2 d CC Heart Girls 1, Division 7: CC Cheeky Chicks 8 d RGGS White 1. Under-12 boys - Division 1: Devils 3 d Rebels Black 2 (Player of Final Clancy Hohn). Division 2: Raptors 6 d Buckaneers 2. Division 3: Rebels White 2 d Mackay Thunder 0. Division 4: Oaka Construction 8 d CC Strikers 2. Division 5: St Peter's Lunar 5 d CC Cowboys 4. Division 6: St Paul's Thunder 5 Def Waraburra Warriors 2. Under-14 girls - Division 1: Rebels 4 d Super Girls 3 (Player of Final Hannah Jenkins). Division 2: Mackay Thunder 5 d Rainbow Spices 0. Division 3: Ch8illed 6 d Run Like The Winded 0. Division 4: RGS Navy 3 d Queen Bees 1. Division 5: Run Straight 2 d Rampage 0. Division 6: You Can't Touch Dis 2 d Talented Tradies 0. Under-14 boys - Division 1: Spikey Pineapples 5 d Raptors 1 (Player of Final Jackson Tews). Division 2: Mackay Thunder 3 d Buckaneers 2. Division 3: On Point 4 d Emerald 3. Division 4: Rebels 5 d All Nighters 1. Division 5: Rag Tags 5 d Woorbinda 3. Under-17 girls - Division 1: FP 5 d Michael 3 (Player of Final Lydia Durkin). Division 2: Incredibles 2 d Mackay Thunder 1. Division 3: Devils 8 d Cap Coast 2. Division 4: Wakandans 7 d Muckarounds 4. Division 5: Not Fast But Furious 4 d Rggs Gold 0. Division 6: Baewatch 6 d Grass Stains 3. Division 7: Rubber Duckies 4 d Last Minute 1. Division 8: FTS 5 d Rhysy's Nightmares 4. Division 9: Teen Queens 2 d Sunny With A Chance 1. Under-17 boys - Division 1: Raptors 9 d Cobs Mob 5 (Player of Final Shamus Edwards). 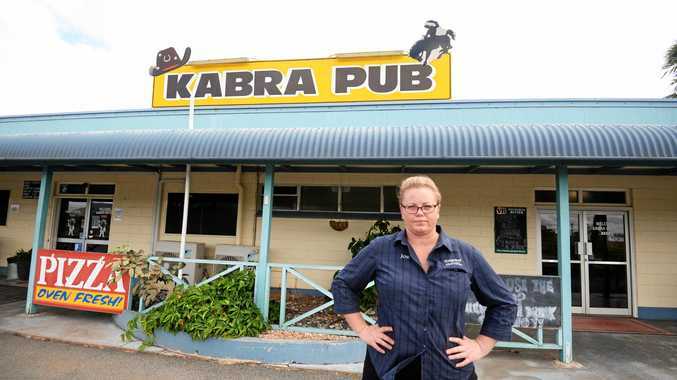 Division 2: Stubbies 4 d Northern Greats 2. Division 3: Mackay Thunder 5 d Avengers 3. Division 4: Clique 6 d Tradies Get The Ladies 3. Division 5: Woorabinda 1 6 d Sun Safe 1. Division 6: On Point 5 d Money Team 2. Division 7: Woorabinda 2 7 d Salt N Pepper 5.